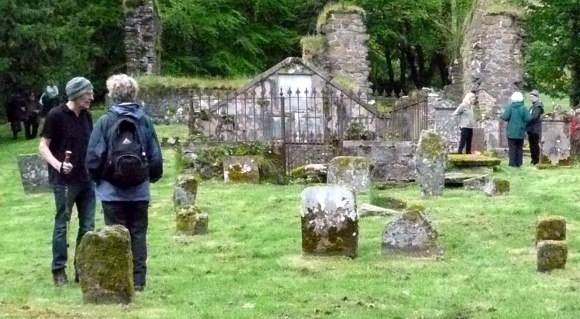 At the heart of the project lies a database inventory of Scottish church sites, www.scottishchurches.org.uk. Although now much broader in scope, the inventory was originally conceived in the mid 1980s to provide a basic level of information on churches and places of Christian worship in Scotland, from the origins of Christianity to the present day. Now it has been expanded to include places used for worship by other communities- Jewish, Muslim, Hindu, Buddhist, Chinese and others. Initially only exteriors were included, but, with the growing number of closures we now record interiors of buildings in ecclesiastical use. The original database was designed during a transitional phase in data management; many official bodies had only begun the process of computerising their records and SCHR initiated its database on computer- all in code as memories were limited. Since the first objective was to create a core of sites from official sources, much information from existing national and local archives was imported. The principal data sources at this time were printed listings from the National Monuments Record of Scotland (NMRS) and Historic Scotland, as well as lists supplied by many regional and district councils. Some regional archaeologists were able to provide sites and monuments records, and some individuals made available extensive personal archives relating to churches. Churches in use were located through the year books and directories published by the various denominations. This initial phase of manual data entry was completed in three years by one principal researcher using a laptop computer running dBase III. The researcher was backed up by temporary assistants, whose role became increasingly valuable as the project progressed. By 1991 a core dataset of more than 10,000 sites had been compiled. The official lists that had been incorporated during the first phase had been compiled for different purposes and contained different levels of detail about sites: the church directories contained few National Grid references; whilst the archaeological and architectural sources were not especially concerned with the denominations or ecclesiastical use of the buildings. Thus, the next objective was to standardise the information. The sites were located precisely on detailed maps and provided with addresses and grid references. This work was carried out by two researchers using maps at the NMRS, and was completed for 90% of the sites by 1992. Since 1992, data for new sites has been received from volunteer fieldworkers. Much of this has been input; the database itself has changed greatly. It has been migrated through various versions of dBase and, more recently, Microsoft Access and recently it has been converted to a website. This currently contains details of over 10,000 sites, with raw details of many new and existing sites waiting to enter into the compilation and data entry processes. We have a large collection of photographs, most of which have been input to the website. Each church has its unique number and is described in its environment. The heritage of each church is a focal point of the record, which includes references to people and events of significance to the congregation. References are also included to enable further research. Fieldworkers and desk-based researchers are briefed to check details of sites already on the website and to provide information on places of worship, regardless of denomination. Standardised and structured report forms are used to record basic information on site situation, condition and bibliographical references, together with descriptions and historic information. Volunteers do not make stylistic or value judgements, but are encouraged to include dating evidence for changes to a site, carry out detailed photographic surveys, or compile architectural reports. To ensure anyone who is interested can participate, Training Days are organised throughout the country to instruct volunteers in good practice procedures for building and site recording. Although there are over 10,000 entries in the Gazetteer, and all have preliminary information, only a proportion has been completed and entered on the website. Many others have been recorded and await processing. Most work so far has been at sites in Fife, Angus and Aberdeenshire, all on the web. Records of places of worship in the Highlands, Ayrshire and isolated other places have been completed but await uploading to the web. The site map shows a dot for each places of worship in the database, with the completed areas in colour. Most work is carried out by volunteers and we are interested in hearing from people and local societies or community groups who would be willing to visit and record places of worship to help increase the useful content of the web site entries for other geographical areas. Please contact us, using the Contact us button. The site map shows a map of Scotland, with one green dot for each of the 10,000 sites and places of worship. We have begun to colour council areas as they are completed and uploaded. Many more places of worship have been recorded in other areas, not yet uploaded; the colour will be changed as soon as the additional material is uploaded. The database was initiated in 1975, when Local Authorities were organised as Regions and Districts. Each place of worship has a unique number and is recorded in alphabetical order, under District and then Parish. You can search by parish or by site number, by putting site name or number into the search box. It will be some time before we can make all the changes required to switch to the current Local Authorities. Volunteers have included:Scott Gibson, Brenda Hall, Stuart Hall, Mary Howatson, Geoffrey Millar, Lorna Carr, Allan Carr, Mairi Macivor, Barbara Robertson, Roy Robertson, Jim Bell, Albert Lawrie, Alan Provan, Jimmy Linton, John Wray, Kay Hepworth, Ewan Malecki, Stuart Mee, Jennifer McDonald, Miriam Buncombe, Emma Dryburgh, James Sinclair, Suzannah Meade, Anna Wowk, Anna McKenzie, David Gould, Chris Duncan, Derek Hall, Karen Nichols, Claire Buglass, Julie Thomson, Kenneth Ross, Judy Dowling, Morag Walker, Roger Stapleton, John Richardson, John McQueen, Edinburgh Art College Placement Students, Alex Pithouse, Alex McLaren, Louise Mackenzie, Carly Cooper, Ian Holland, Alison Logie, Mark Clifford, Jamie Mansbridge, Iris Papaemmanouil, Kajal Solecki.Glasgow Recorders – new group of volunteers, to add. Trustees and Advisory Board Members have also worked as volunteers. At present we have no external support, but in recent years we have been generously supported for periods of one to three years by: The Russell Trust, HLF Your Heritage, Historic Scotland, Church of Scotland, Fife Leader+, West Fife Environment Trust, East Fife Communities Fund, The Strathmartine Trust and our many kind donors.